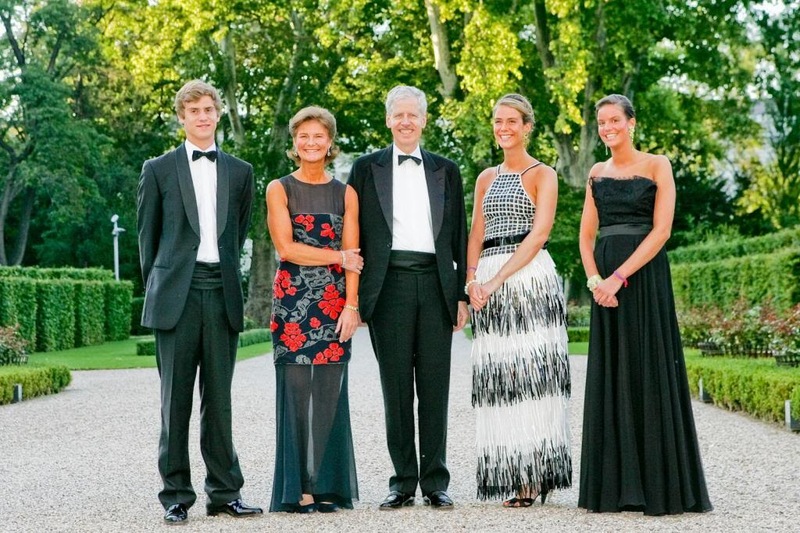 Prince Nikolaus of Liechtenstein and Princess Margaretha of Luxembourg, who are celebrating their 32nd wedding anniversary today, together with their children Prince Josef, Princess Maria-Anunciata and Princess Marie-Astrid in the gardens of the Gartenpalais Liechtenstein in Vienna. The picture was taken in the summer of 2007 at a joint wedding anniversary and birthdays bash attended by heaps of royals and nobles as well as other friends of the family. Prince Nikolaus, Princess Margaretha, Princess Anunciata, Princess Astrid and Prince Josef are actually the reason why we came up with the idea to also include the Princely Family in our blog as our interest in the family originally arose while researching for a post about Liechtenstein's national day which some of the five regularly attend.